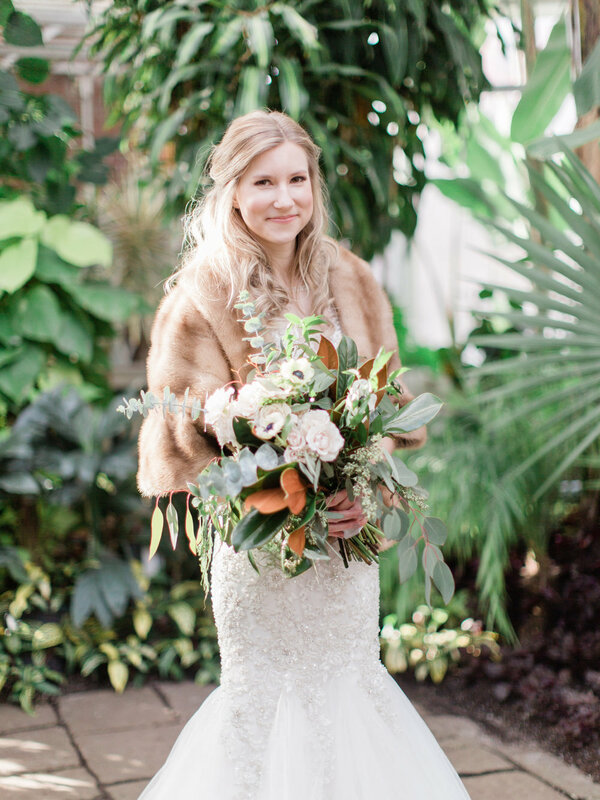 We all see those amazing photos on Pinterest, or in a bridal magazine… where the model looks stunning and perfectly captured holding her bouquet in exactly the right spot. I don’t know about you, but I am not photogenic and actually pretty awkward in photos. Most of us aren’t fashion models, and you don’t need to be in order to have gorgeous wedding photos. So what’s the deal? We have put together a few tips in order to make capturing that perfect photo effortless. Be conscious of keeping the “focal front” pointing out and down with the stems pointing toward your belly and the flowers forward, and loosely held in front of you. We usually leave the bow/knot/pins at the back of your ribbon in order to give you a guide. Hold your bouquet at the very top of the stems with your thumbs at the back and centered on your body with your elbows in a slight bend. Remember, your photographer is there to guide you and will give you tips and instructions while they work. Most importantly, relax and enjoy the moment! Where will this party happen? Are you religious, or have family members that are? This could play a part in deciding on having your ceremony in a separate location - ie. a Church. There are sometimes time restrictions with having a ceremony in a Church, so consider this and speak with your parish or priest about the details. Think about what time of day you might want your reception to happen. Will it be a party that goes into the wee hours, or perhaps a casual brunch/lunch or cocktail vibe. Once you have considered the atmosphere you would like it will help narrow down a more specific look, vibe or atmosphere you will be looking for. For example if you are thinking a more intimate brunch for your nearest and dearest - a restaurant might be the perfect fit. Or perhaps the look and atmosphere is something you really want to create for your guests - so a gallery or event space is more up your alley. Will you need accommodations for people that are traveling to get to you? If its a more remote location, you might want to consider how many people will want to stay the night somewhere vs. driving home the same day/night. This doesn’t really factor in if you are choosing a resort style venue - as rooms should be readily available to you and your guests for the date of your event! There are certainly a lot of Venues that will offer both a place for the ceremony and the reception, which might make things easier! 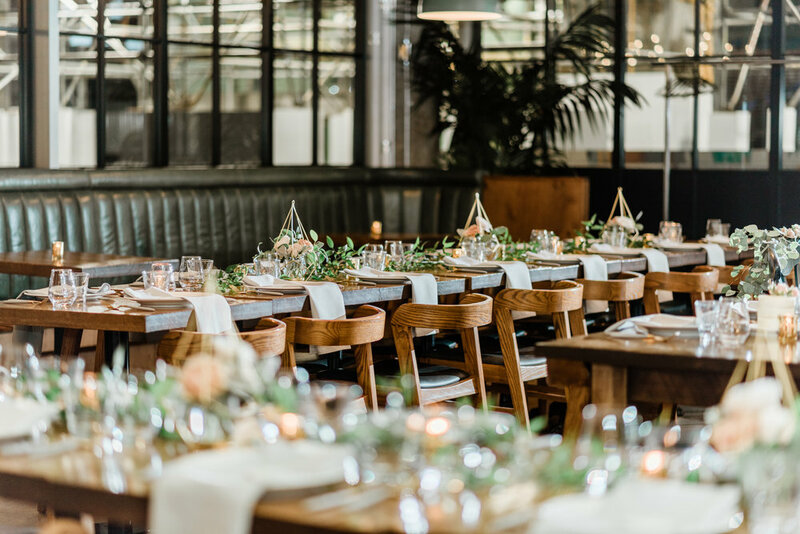 These are also typically the venues that will also include all kinds of things like rentals, linens, staffing, a complete bar and caterer etc. All really good considerations, as you will most likely end up spending more if you have to book all these separate pieces individually and have to organize it all to happen for one day! 5. Choose 3 Venues you like and go visit them! 6. Ask Questions! What do they include? What’s already on-site? Do they have examples of the set-up you would be having? 7. Be ready to decide quickly! Once you have your Venue location and the date confirmed - you can start narrowing down all the other details that follow! Are you getting excited yet?